An interesting debate on Greek Politics, Economy & Governance, with the participation of Greek-Australian politicians, is scheduled on Thursday, 21 September 2017, at the Greek Centre, as a part of the Greek History and Culture Seminars, presented by the Greek Community of Melbourne. Greece has been in recession for seven years now and is struggling to climb out of it. During this time various Greek Australian Members of Parliament have been engaging with Greece as their views and ideas are being sought both by Governments, Political Parties, the Private Sector and Not for Profits as members of the World Hellenic Inter-Parliamentary Association (WHIA). 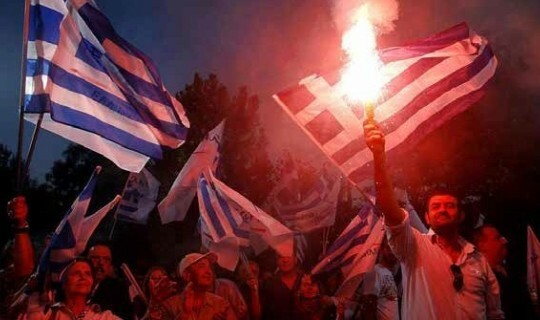 What are their views about the ‘Greek situation’ and the ‘Way Forward’? Facilitator - Hon John Pandazopoulos Secretary General WHIA. With over 30 years experience in public policy development and implementation as a Member of the Victorian Parliament for 22 years. Victoria’s longest continuous serving Minister for Tourism and Major Events, and also also Minister for Multicultural Affairs, Employment, Major Projects, Gaming and Racing. Currently Deputy Chair William Angliss Institute TAFE, Director Parks Victoria, Chair Phillip Island Regional Tourism Board, Chair Victorian Government Visitor Economy Committee and Director of Hellenic Power. Maria Vamvakinou MP. A Member of the Australian Parliament since 2001. With nearly 30 years involvement in public policy, a political adviser to Joan Kirner, a former Local Councillor and teacher. Steve Dimopoulos MP. A Member of the Victorian Parliament since 2014. Represents Greek-Australian heritage legisla- tors on the WHIA Board. A former Mayor and Councillor City of Monash 2003-2014, a former adviser to Simon Crean, he has held senior management roles in the Victorian Public Sector and is a former small business owner. Peter Katsambanis MP. President WHIA. With over 20 years in public policy Mem- ber of the Western Australian Parliament since 2013 Shadow Minister for Police, Road Safety, Corrective Services and Indus- trial Relations. Formerly a Member of the Victorian Parliament 1996-2002.